Two adjacent names on the Ranmore War Memorial span the notorious Battle of the Somme. Frederick Buckland died on the infamous first day (1st July, 1916), Ernest Bradley 141 days later on the last day (18th November, 1916). Doubtless, both men left grieving parents and siblings, but, whereas Frederick was a young bachelor in his early twenties, Ernest Bradley in his middle thirties had a wife and child. Born on 10th May, 1881 (the youngest of the seven children of George Bradley, the cowman, and his wife Ann), Ernest John Bradley was baptised at St Barnabas on 16th June. He lived his boyhood days at Pigden Farm (a dairy and chicken unit) on the western end of Ranmore Common. 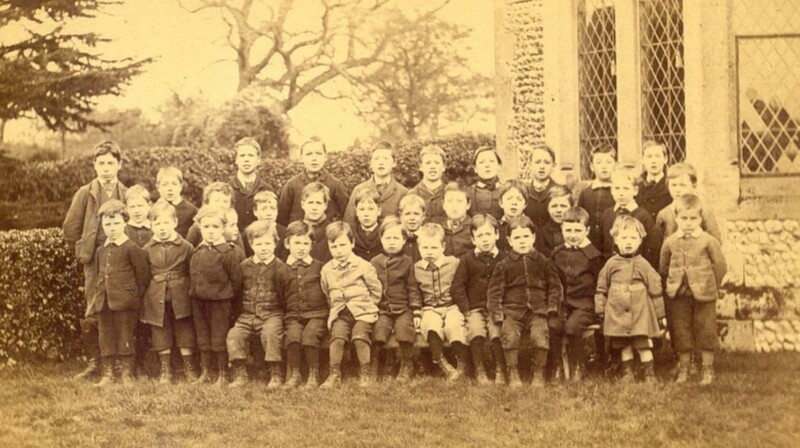 On 13th April 1885 he started as an Infant at the St Barnabas School. During his first year he was away several times through illness. Several years later, in early 1894, he “was withdrawn from the school by the doctor’s order on account of a skin eruption”. Later that year, on 27th July, he left school “to go to work, having reached the top Standard (VI)”; he also gained certificates in religious instruction as a result of the regular Diocesan inspections. 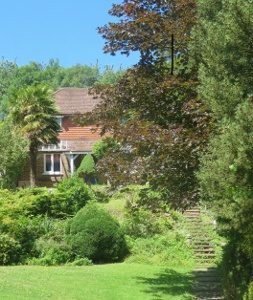 After leaving school, Ernest did gardening work, probably in the extensive Denbies Gardens, but by 1901 we find him in Limpsfield High Street, lodging with his married sister Mary (Anne) and her gardener husband Frank Wood. In October 1910 he was witness to the marriage of his next eldest brother Albert to Winifred Dennis in Paddock Wood, Kent. Eighteen months later, on 17th August, 1912, Ernest Bradley married Edith Hurrell at Christ Church, Woking, giving his residence as Coulsdon (on the other side of Surrey). 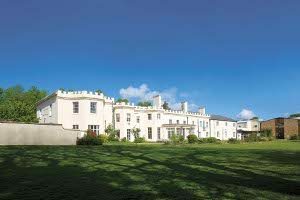 Edith was the daughter of William Hurrell, painter and decorator, and the younger sister of Mary Elizabeth Hurrell, who had married Ernest’s older brother George Bradley in Guildford in 1910. Ernest and Edith went on to have at least two children. Ernest junior was born 6 Coulsdon Street, Coulsdon on 31st October, 1913, but died there ten days later of acute vomiting that had lasted a week. Maisie Harriet was born 30th March, 1915 at 9 Hardinge Road, Ashford, Kent; two months after her birth, Ernest enlisted in The Queen’s (Royal West Surrey Regiment) at Ashford. He landed in France on 14th October, 1915, as part of the reinforcements for the 7th Battalion with which Fred Buckland had landed on 27th July, 1915. There are no extant service documents for Ernest, only his medals (the 1915 Star, Victory and British War Medals). 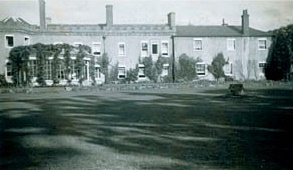 Around the time of his death Edith was living at 17 Marlborough Road, Dorking, but it is not certain what subsequently happened to her or to Maisie. 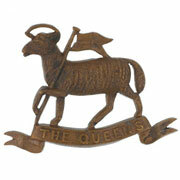 Ernest John Bradley was killed in action on 18th November, 1916, the last day of the Battle of the Somme. He has no known grave, but is remembered among 72,000 others who died during the battle between July and November 1916. 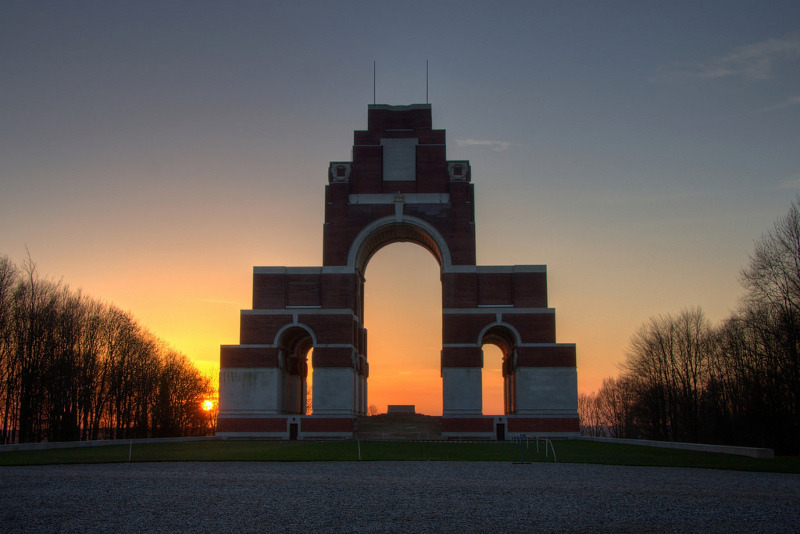 His name is inscribed on the impressive Thiepval Memorial to the Missing of the Somme (Pier and Face 5D and 6D).